Project modern glamour with the colorful glow of this contemporary crystal pendant chandelier. 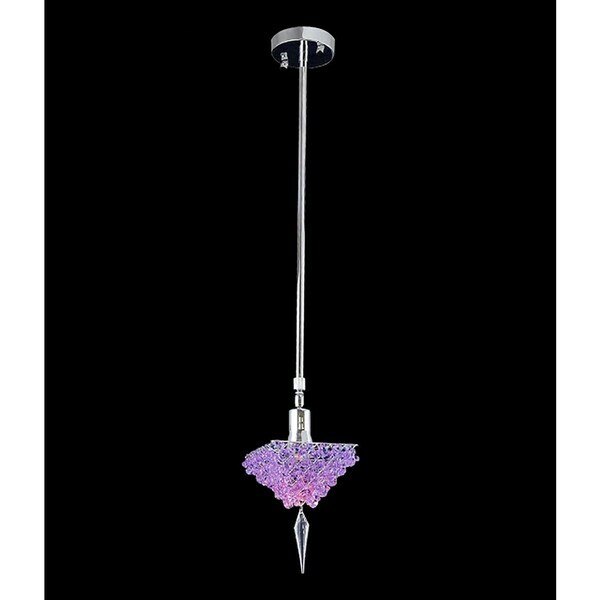 This ceiling fixture packs glowing sophistication into its pyramid of colored crystals, while its clear crystal spearhead tip provides a hip focal point for any space. The chandelier's sleek chrome finish makes it an ideal accent light for your modern or contemporary decor.